Get what is coming (back) to you! Every savvy college student knows there are lots of bursaries and scholarships out there – you just have to know where to look. It’s the same with home buyer government incentives. There are some good government programs – especially for first time buyers – that help put money back in your pocket. Down payment assistance: Some municipalities provide down payment assistance to buyers with limited resources. For example, Simcoe County will provide a 10% down payment assistance in the form of a forgivable loan. And Dufferin County will provide 5% assistance. Make sure to check out the municipalities which interest you. Land Transfer Tax rebate (Toronto): In the City of Toronto, if you are a first-time purchaser of a newly constructed or re-sale residential property, for conveyances and dispositions of an eligible home on or after March 1, 2017, there is an available rebate of up to $4,475. Land Transfer Tax rebate: When you buy land or an interest in land in Ontario, you pay land transfer tax. First-time homebuyers of an eligible home may be entitled to a refund of all or part of the tax. Beginning January 1, 2017, the maximum amount of the refund is $4,000. Home Buyer’s Plan (HBP): With this program you may withdraw up to $25,000 tax-free from your registered retirement savings plans (RRSP) to put towards the purchase of your home. It is intended for first-time home buyers, but you can also qualify if it has been at least four years since you last owned a home. With this plan you are essentially lending yourself money from your RRSP. You must pay it back in instalments over the next 15 years, or face the tax consequences. So, if both you and your partner are purchasing a home for the first time, you can each access $25,000, for a total of $50,000. SOME ENTERPRISING FIRST TIME BORROWERS SET UP RSP LOANS WITH THEIR BANKS AND AFTER THREE MONTHS, THOSE MONIES ARE ELIGIBLE FOR THE HBP. These rebates are available to all home buyers and kick in when the mortgage you have is insured by any of CMHC, Genworth, or Canada Guaranty. 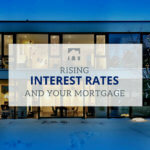 High ratio mortgages are typically insured, as are some other types. This rebate provides a refund of up to 25% of the mortgage default insurance premium you paid. So if you bought a $400,000 home with only 5% down, you would have paid $16,000 in insurance premiums. Under the Energy-Efficient refund program, you could save $2,400 or even $4,000 off the premium you paid. If the home’s energy rating is between 82 and 85, you will earn a 15% refund. If the rating is between 86 and 100 (or R2000), your refund will be 25% of the premium paid. A $5,000 non-refundable tax credit intended to support first-time buyers with the many additional costs associated with purchasing a home, including legal fees, HST on newly constructed homes, disbursements and land transfer taxes. In reality, this translates to about $750 in tax savings in your pocket. First-time home buyers residing in provinces that have combined provincial and federal sales tax, which includes Nova Scotia, New Brunswick, Newfoundland, Ontario, and British Columbia, are eligible for an HST tax rebate through the federal government. Guidelines vary, so it’s best to check out Service Canada’s website. Buyers of investment properties in Ontario are eligible for the Residential Rental Rebate. We usually direct buyers to Mark Purdy’s Rental Rebate site. Bottom line: home buyer government incentives go back to YOUR bottom line. Use the resources and ask the questions to get back as much money as possible. You deserve it!